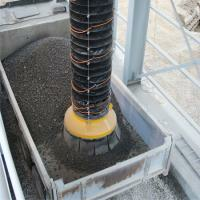 Outloading of bulk solids in powder or granular form is a common task in industrial plants. A great deal of know-how is required to automate this process smoothly. 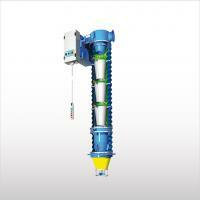 Polimak offers wide range of solutions for bulk material loading applications. Being an essential component in bulk solid handling processes, loading bellows provide dust-free and safe outloading of powdered and granular materials to trucks, tankers, ships and stockpiles. 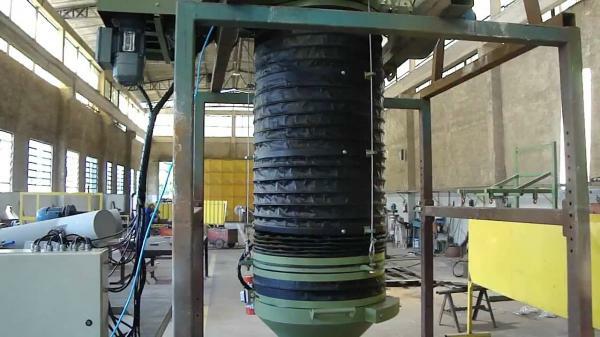 They are generally mounted underneath silos, hoppers, or installed at the end of conveyors like screw feeders, elevators or pneumatic conveying systems. Bulk materials flowing from the upper side are transferred to the downstream vehicle, ship or stockpile efficiently without any dust emission and product loss. How Loading Bellows Work ? 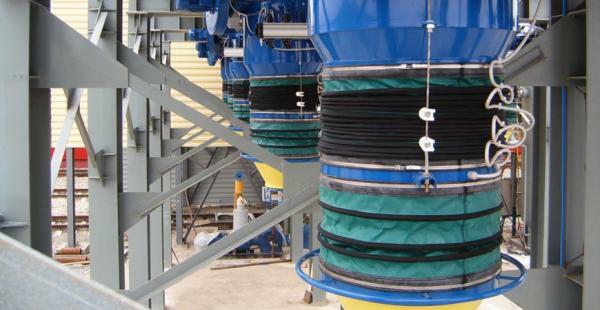 Main idea behind the dustless loading bellow system is discharging the powdered or granular bulk solid through a vertical column by its own weight and collecting any dust within the same enclosed column upwards. The varying height between the upper discharge point and lower loading point is compensated with making the column flexible. A mechanical winch system is used for adjusting the height while maintaining a closed area and straight passage for high capacity loading. 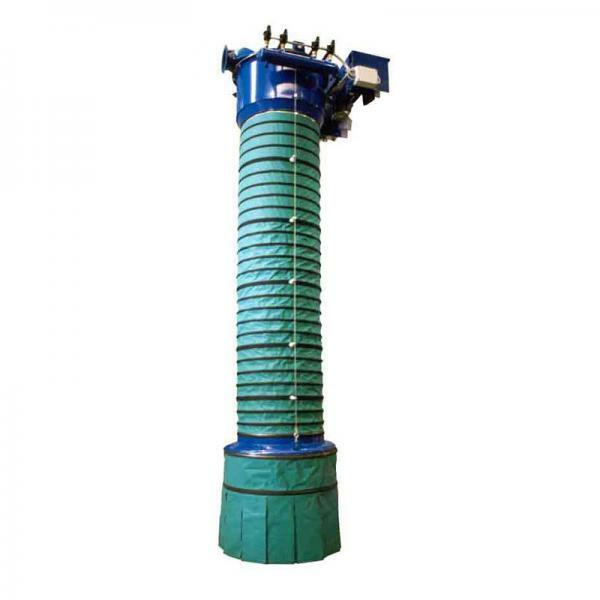 Depending on application requirements different type of bellows, abrasion cones, dust collectors and similar equipment are included in whole loading system.Depending on the type of loading medium, two main types of loading method exist; open loading and closed loading. Open loading bellows are used to fill flatbed open trucks, ships and stockpiles where bulk material is directly exposed to environment. At the beginning of loading, bellow is lowered towards the flatbed of truck / ship or basement and stops at the bottom. Material falls freely through the bellow. Flexible dust skirt located at the bottom side of bellow keeps the dust content inside the loading region. Additional vacuum air supplied by dust collection system ensures that any dust emission is prevented effectively. Level sensors installed on the unit are used to check product level continuously. As the product level increases, the bellow raises automatically. After loading is completed, loading bellow is retracted to the top stand-by position. Open truck loading bellows, ship loading bellows and stockpile loading bellows have extensive range of models and configurations depending on bulk material type, loading capacity and application requirements. 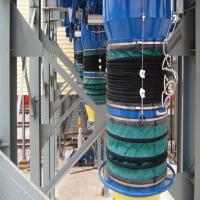 Closed loading bellows are used to fill tanker trucks, barges and ships with closed containers. At the beginning of loading, bellow is lowered and stopped when it reaches to the tanker inlet. After that, product flow is started. Material falls freely through the inner side of the bellow. Tanker is filled by the product. Air content of the tanker is transferred back through the bellow and then discharged through the air vent. Level sensor located at the discharge point of bellow monitors the product level in the tanker and stops the operation when the tank is full. After loading is completed, loading bellow is retracted to the top stand-by position. – Dust free working region, prevention of dust pollution, ensure plant and environmental safety. 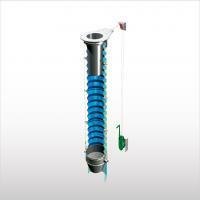 – Suitable for different bulk solids conveying and storage systems. 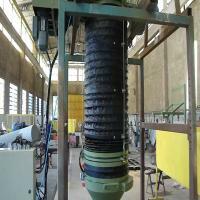 – Loading is possible from different equipment like silo, hopper, screw feeder, conveyors etc. – Extensive range of models are available for wide range of needs. – Auto raise feature. When loading is completed, loading bellow retracts automatically, saving valuable operator time. – No spillage and no product waste. – Materials with high temperatures up to 300 C can be loaded. – Food grade loading bellows are available. Materials in powder and granule form like cement, fly ash, mining minerals, calcium carbonate, pvc, plastic pellets, plastic powders, polyethylene, ceramic powders,alumina, bentonite, bauxite, coal, cement clinker, gypsium, perlite, kaolin, limestone, marble powder, soda ash, quartz, urea, sodium suplhate, wheat, flour, animal feed, seed, corn, rice, sugar, salt and similar powdered or granular dry bulk solids are handled by loading bellows.